Numbers on sole parent support have plunged by 8600, or 10 per cent, in the year to March. It is the biggest drop in a single year since the benefit - previously known as the domestic purposes benefit, or DPB - was created in 1974. Sole parent support is now being paid to 75,844 sole parents, fewer than in any year in the DPB's history since 1988. About 22,000 people with no children under 14 were moved to other benefits when the DPB was abolished last July, but even if they were added back in, the total number of sole parents on any kind of benefit is the lowest since 1993. Not sure where he gets the data to make the last statement though. Did he add back the 22,000 to the 75,844, arrive at 97,844 then go back through the DPB historical numbers? Looks like it because in 1993 there were 96,335 people on the DPB and in 1994 there were 100,256. But he wrote "any kind of benefit". He hasn't accounted for the Supported Living Payment/Invalid benefit which grew from 35,000 in 1993 to 87,000 in 2012. In 2009 over 5,000 single parents were on an invalid's benefit. Good to see him talking about 'net' reductions. Many journalists forget that there are also people constantly going onto benefits. The biggest net reduction (13 per cent) was for parents aged 40 to 54, whose children were most likely to have turned 14. The next biggest reduction was in the 18-24 age group (down 10.4 per cent), with a smaller reduction for those aged 25 to 39 (down 9 per cent). The number of Europeans on sole parent support also dropped sharply (down 12.5 per cent), as did Pacific numbers (down 11.5 per cent). But Maori numbers fell 7.9 per cent, so Maori increased from 44.9 per cent of those on sole parent support to 46.1 per cent. Michelle Neho, who runs the Pikorua community centre in Papakura, said she had seen little change. "Not many have gone off the benefit round here," she said. The most employable people leave first welfare first. We will see how effective the reforms are when the harder cases, the intergenerational types, start leaving. I note too that another important reason for the reduction isn't canvassed (the official line from MSD is economic trend.) That's the falling number of births, especially teenage. This will definitely be having an impact. Here's the overall 5 year trend picture. THE LATEST ROY MORGAN POLL has Labour on 28.5 percent (down 3.5 percent) and the Greens on 11.5 percent (down 1.5 percent). At 40 percent, the combined vote of the two main centre-left parties has fallen 5 percentage points since Roy Morgan’s previous survey in late March. Roy Morgan has long been the Left’s favourite polling agency: a source of good news when the Colmar-Brunton, Reid Research and Ipsos agencies could offer nothing but ill-tidings. That “our poll” has begun to deliver ill-tidings of its own is bad news indeed. Does anyone know the whereabouts of that stalwart and courageous David Cunliffe who bore every insult that his enemies could hurl at him. The David Cunliffe who sat stoically on the back benches while his party fought for his return. The David Cunliffe who campaigned up and down the length of New Zealand for a rededication to Labour’s core values. The David Cunliffe who promised to rescue New Zealand from John Key’s “crony capitalism”. If anyone does know where he is could they please advise Moira Coatsworth and Tim Barnett immediately – he is sorely missed. And sorely needed. Because, if that David Cunliffe is not found – and soon – the pallid and oh-so-timid fellow currently masquerading as the leader of the Opposition is going to lose the election. Not just for Labour, the Greens and Mana, but for every other New Zealander seeking a radical change in their country’s direction. Odd because I haven't seen the timid version. But I can find him the smarmy, arrogant, nasty man. That's the real turn off. One in four Maori baby boys won't live to 65? A QUARTER of boys born in Glasgow between 2010 and 2012 will not live to see their 65th birthday, according to research which shows the city has the lowest life expectancy in Britain. Figures from the Office for National Statistics reveal public health problems continue to ail Scotland’s largest city, at a time when it is preparing to host the Commonwealth Games. The findings show that only 75 per cent of boys and 85 per cent of girls born in the city will reach their 65th birthday. The average life expectancy of babies born in Glasgow between 2010 and 2012 was 72.6 years for boys and 78.5 years for girls. The good news is Maori are catching up. Should NZ introduce time-limits on welfare? That's the subject of a piece I provided to Muriel Newman's New Zealand Centre for Political Debate. And Muriel asks, Has Welfare Reform Gone Far Enough? I have lived in New Zealand since I came as a student. I love this country and have stayed and formed my own small businesses, provide employment and made my part of a contribution to this wonderful country. I am standing for parliament again because I am alarmed at what has happened to race relations in our country. It has got much worse. Last year, when Winston Peters launched a vicious racial attack and pointed at the New Zealand Chinese community for creating a 'Supercity of sin', only ACT stood up openly against his attack. This year Winston Peters again started his campaign against foreigners. Everyone knows, including we Chinese New Zealanders, that his campaign is directed at us. Sadly, now the Labour Party has joined in, playing the race card, blaming the Chinese for New Zealand's problems. No surprise for me to hear David Cunllife said that he “respects Winston Peters greatly” because Labour is 'going in bed' with Peters! We need racial harmony, not racial hatred or hostility. Most of the houses owned by Chinese are not bought for speculation. It is Chinese parents buying an apartment for their children to live in while studying at University. Those students pay full fees and contribute to our employment and economy. How does that hurt New Zealand? I have a new obsession. A saxophone. With no intention to use it myself, I wanted her to afford an entry level instrument. Her motivation was an accomplished Maori guy busking at Pack'n'Save just before Xmas. She gave him $5 (she's only 15 but has a part-time job) and he told her how easy it was to play and she should try it. That was enough. Plant a seed in her musical being and it grows. The instrument was in need of a service. But with some training on clarinet and oboe in my early teens, the muscle memory came flooding back. Soon I could get a passable sound from it and started hunting out music, watching YouTube lessons, researching options for backing and software to transcribe chords. I got the bug. Then, wah wah wah (as KS would say about Cunliffe's remonstrations) the semi functional sax had a catastrophic malfunction. Well, not really. But for a instrument ignoramus like me it was untacklable and heartbreaking. I had to fix it. A day without playing wasn't a day I wanted to have. So came a restless night, difficult decision. Invest in fixing the old saxophone, buy a new student model, buy a Chinese knock-off (which are reputedly very good if you can trust the web), rent, rent-to-buy, search out another secondhand quality instrument... Total dilemma. For some reason circumstances conspired and I found myself at the woodwind specialists in Wellington asking for a brand new P Mauriat to be demonstrated. Yep. That's beautiful. I'll have it. Jesus, Lindsay. I walked down Willis St wondering about this uncontrolled compulsivity. But not once have I regretted it. I've even given up the horses to channel all disposable funds that way. Now I have a healthier addiction. Need to play. But before I go, this was only meant to be a short intro into a story I read from the World Socialist Website tonight. Heartwarming, but ruined with a caveat by those thicko communists cutting off their noses to spite their faces. A New York City classical radio station recently completed a drive to collect used musical instruments that will be refurbished and distributed to music programs in the city’s public schools. A total of 2,500 instruments were collected in the 10-day drive conducted by WQXR that ended on April 7. They included flutes, guitars, clarinets and some less common instruments, including a xylophone, a Chinese pipa, accordions and mandolins. There is some talk of the instrument drive becoming an annual event. While such a development would certainly be welcome from one point of view, any suggestion that this is an adequate substitute for full and expanded arts funding in the city’s schools, as part of the provision of quality education for the city’s working class majority, must be thoroughly rejected. 'Normal' is, of itself, a controversial word. Here, I use it in the sense of being near the average. 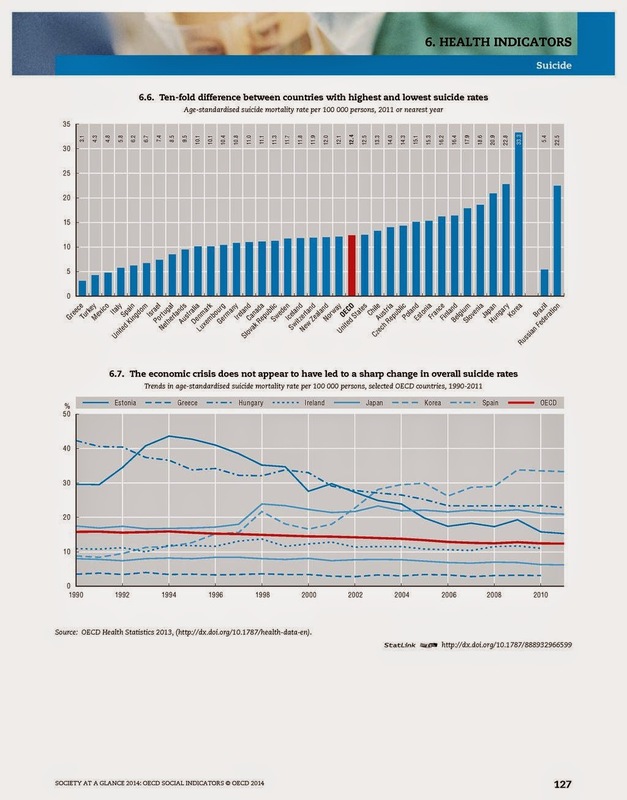 Again I draw on the OECD 2014 Society at a Glance data which shows NZ's rate is below the OECD average, notwithstanding many countries hover around a similar rate. That on it's own must tell us something. Is Mana advocating cuts to benefits and Super? Mana candidate John Minto is advocating a universal basic income. To be expected after Gareth Morgan talked to the weekend conference about exactly that. But Morgan's proposal, detailed extensively in The Big Kahuna, sets the tax free income at $11,000 per annum to replace all benefits and Super. Minto also mentioned doing away with WINZ. But $11,000 is well under the rate of Super and vastly under what a sole parent receives. He openly admits it would also slash the incomes of superannuitants and halve average payments of the Domestic Purposes Benefit. Many pensioners would gradually lose ownership of their homes to pay the capital tax, which could depress the value of all our houses (Morgan sees this as a good thing as it would help young people to buy). Many solo parents on benefits would have to either move into cheaper housing or share with other adults to make ends meet...Solo parents on the DPB, who currently get about $20,000 to $30,000 a year depending on allowances and the number of children, would lose out badly. Morgan argues the state cannot afford to support a single person as if he or she was a two-parent household...Morgan is forthright about cutting payments to superannuitants - "they get too bloody much anyway" - despite huge political backlashes against previous governments who have dared to tamper with the pension scheme. There are attractive aspects of a UBI eg it incentivises work by getting rid of high effective marginal tax rates. But it penalises the rich and the poor alike. A number of classical liberal thinkers have proposed it in the past eg Milton Friedman and more recently Charles Murray, so I try to stay open-minded about it. I recall even (some members of the) Libertarianz Party had a crack at advocating it. But I struggle to see how it fits with their overall principles given forcible transfer of wealth continues. It seems to me that the UBI is an attempt to improve the complicated, contradictory and corrosive system social security has become. But it continues the subjugation of the individual to the state. In a way if Mana adopt Morgan's proposal I will respect them for it. Because they will be telling the poor, their constituency, that in the immediate future they will be worse off, but their ability to improve their lot through their own efforts will be much improved. This line wasn't reported in the audio I heard. Mr Minto says it would need to be more than that, although the costings haven’t been worked out. Just to give you a rough idea of costing if Mana pushed it up to $15,000 (x 3 million people assuming age 18 plus) that's twice MSD's budget. Daily Blog poster Mike Treen is persisting with his theory that people are being denied an unemployment benefit despite my data showing the number of refusals was fairly constant between 2005 and 2013. He has repeated his original claim in a new post entitled "Right wing lies continue". ...around the mid 2000s the Labour government introduced a severe case management regime that seemed designed to prevent people accessing their entitlements rather than encouraging them to. The numbers on the unemployment benefit began to fall dramatically faster than the HLFS unemployment number until the gap hit 50,000 in 2008. The international crisis and recession of 2008-10 sent the HLFS unemployment numbers soaring but the new National government’s even more punitive regime managed to keep the numbers on a benefit from increasing anywhere near as fast....I believe that statement to be true and remains true." Mike is still of the view that before the mid 2000s everybody who was unemployed received a benefit. People were not denied. Below is data from a Department of Social Welfare Benefits and Pensions report for the financial year 1989/90. It's a photocopy from my own files and I don't have data for other years. 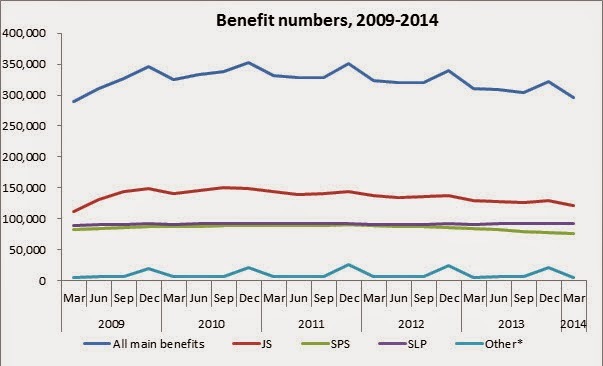 In the 2011/12 year 110,244 unemployment benefits were granted and 13,417 were declined. That's an application refusal rate of 10.8%. These are facts. These are not lies. Reflecting on her time in New Zealand politics, particularly towards the end, Clark said it was "regrettable" politics had become something of a consumer commodity. "Where you change the brand of toothpaste, you just change the brand of government without giving too much thought to the taste or what it’s going to do." What a strange analogy. How many people are really that flippant about who they vote for? What influences which toothpaste you use? I don't give a rat's to be honest. I buy what someone else asks me to, or what's on special, or whatever is making the most dazzlingly bogus claim. But it's decision that occupies my consciousness for a nano second once a fortnight at best. Whereas the world I inhabit is constantly considering politics: policy and players. Whether I am listening to the radio, reading newspapers, blogging, having conversations or just out walking by myself, things political are there. And I doubt anybody is just not buying toothpaste, so how does she account for the non-voters? It's a stupid statement. But perhaps that is how Helen dealt with the ousting. Convincing herself that her rejection was just a casual choice to buy John Key because he would make our teeth whiter. Ooooh, I like the blue box better than the red one. Doesn't it just scream of the contempt in which she holds New Zealanders? No wonder she had to get out of here.